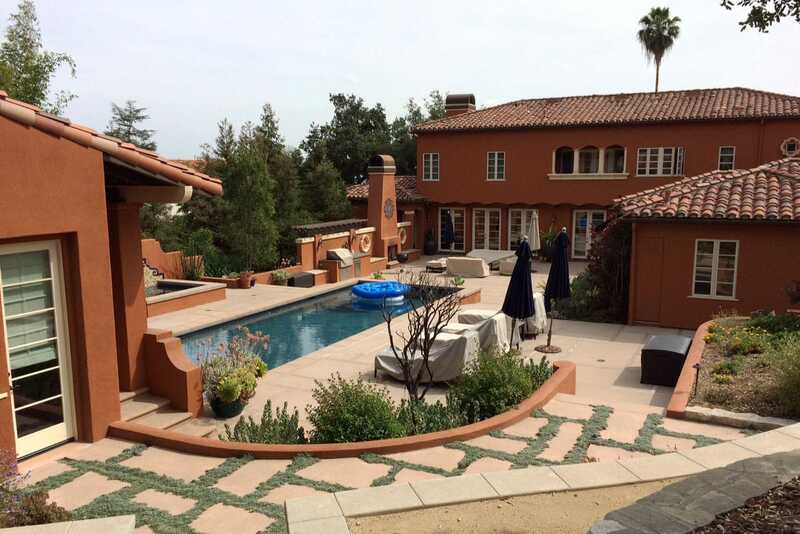 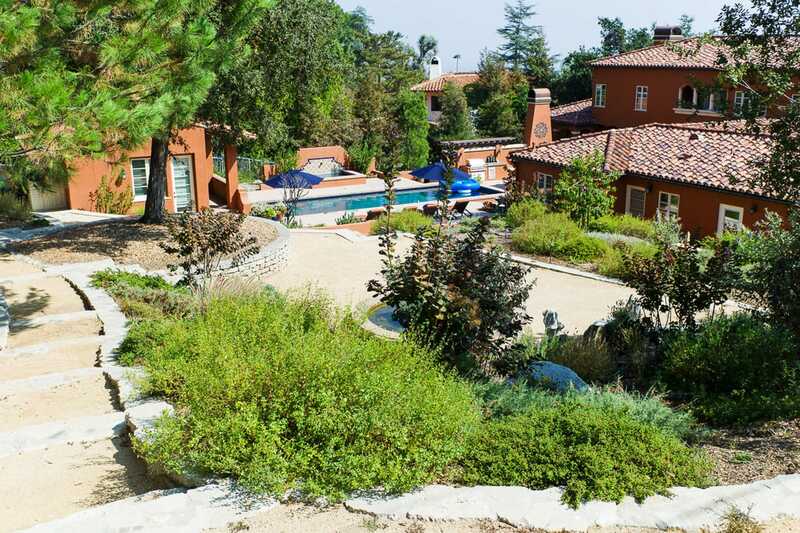 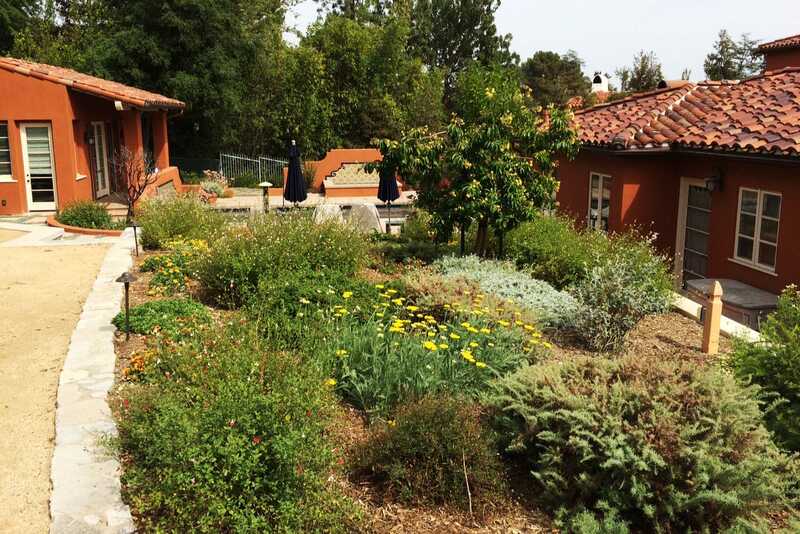 This estate spreads out to nearly a full acre with a 35-foot elevation change. 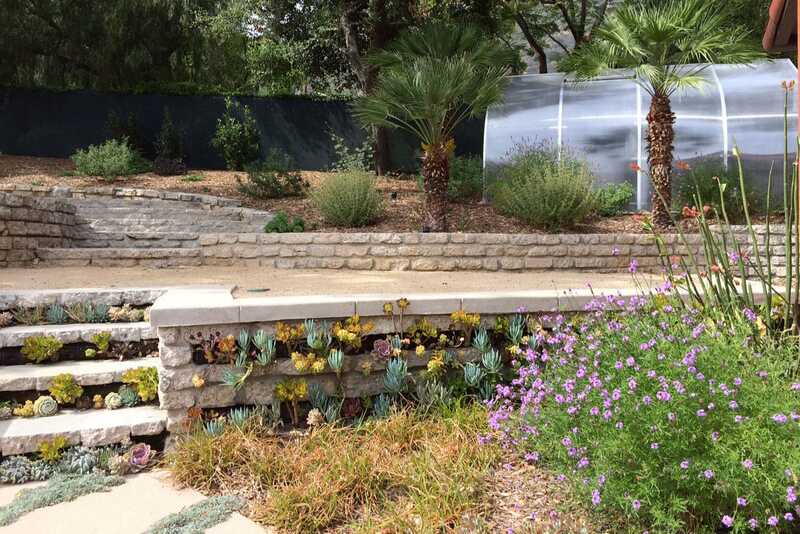 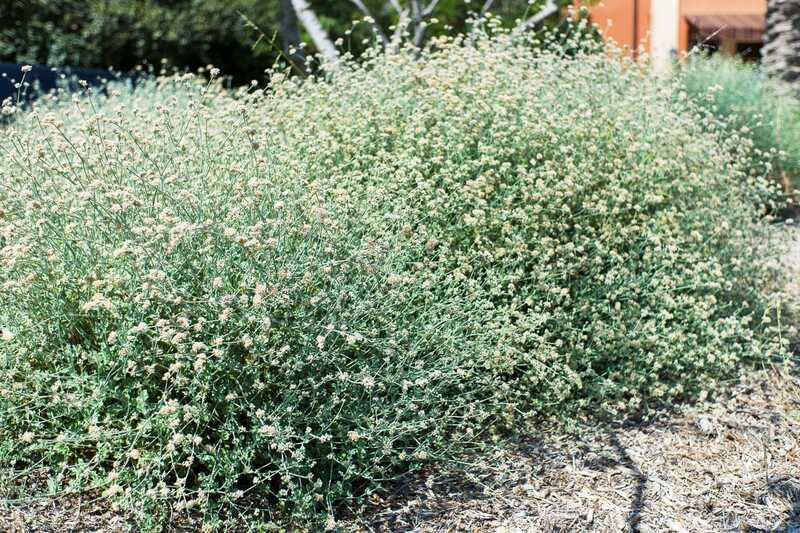 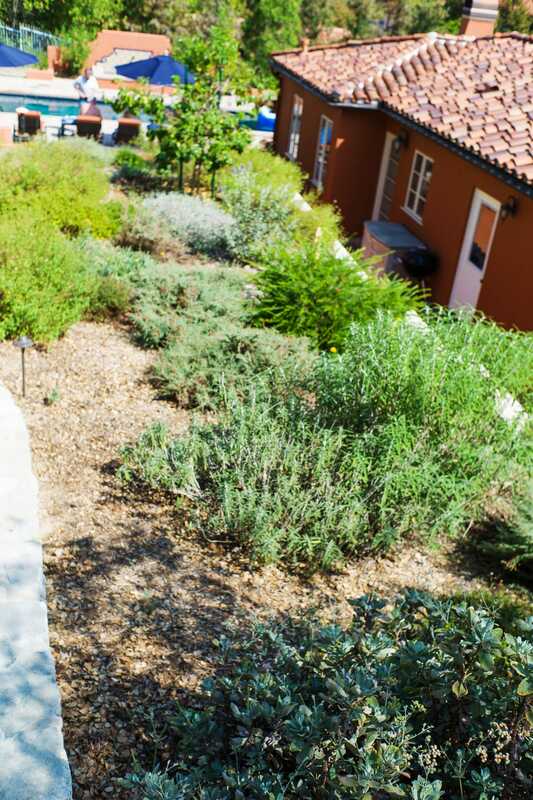 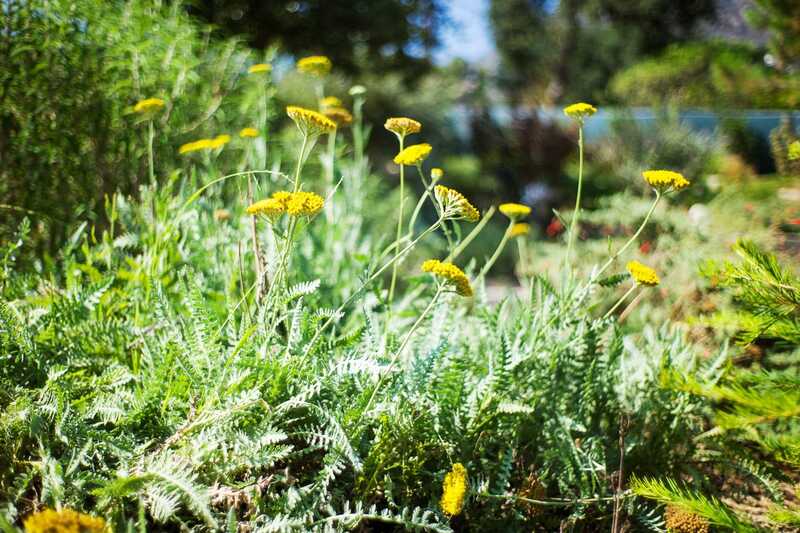 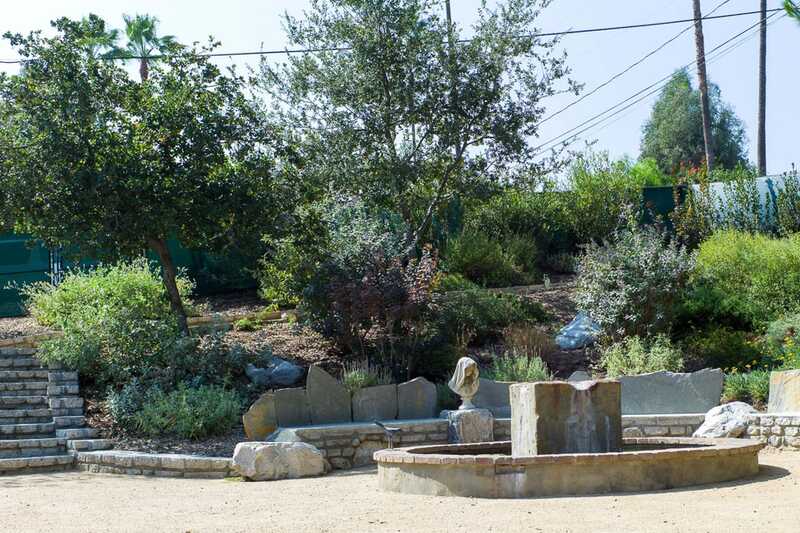 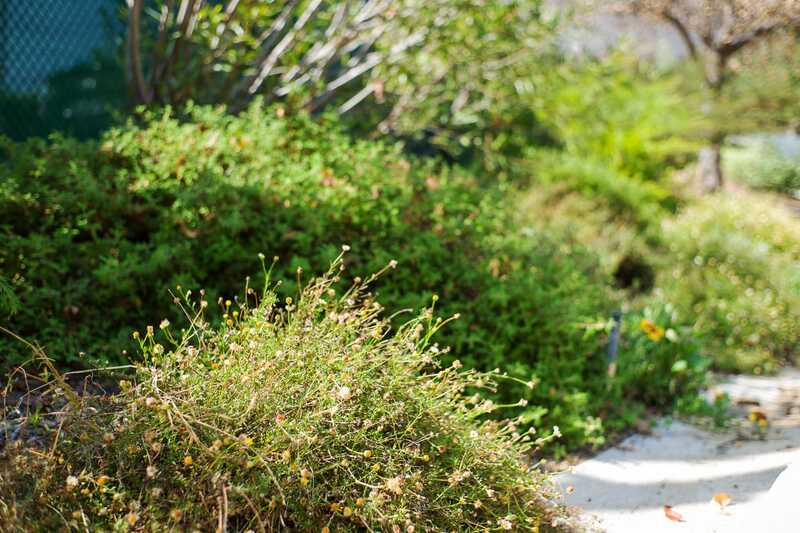 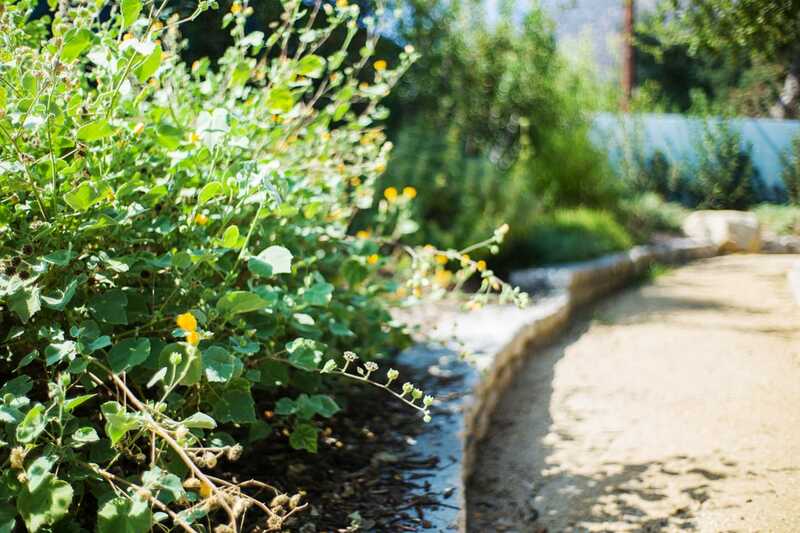 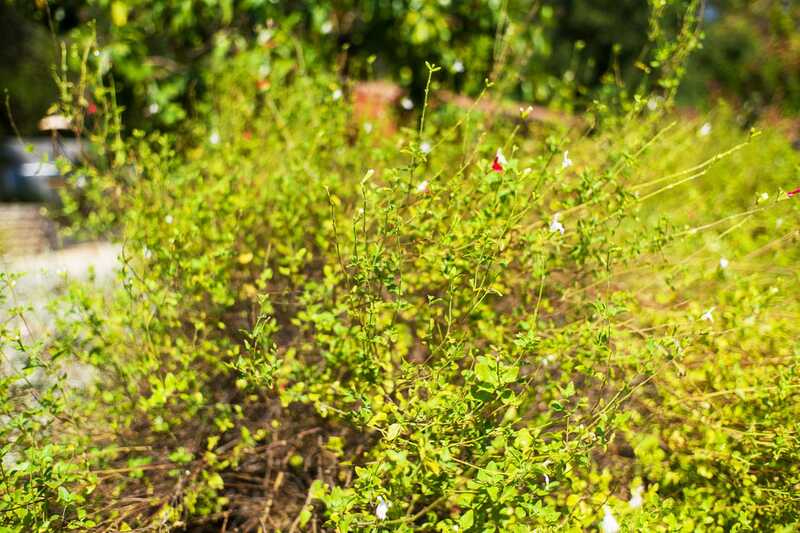 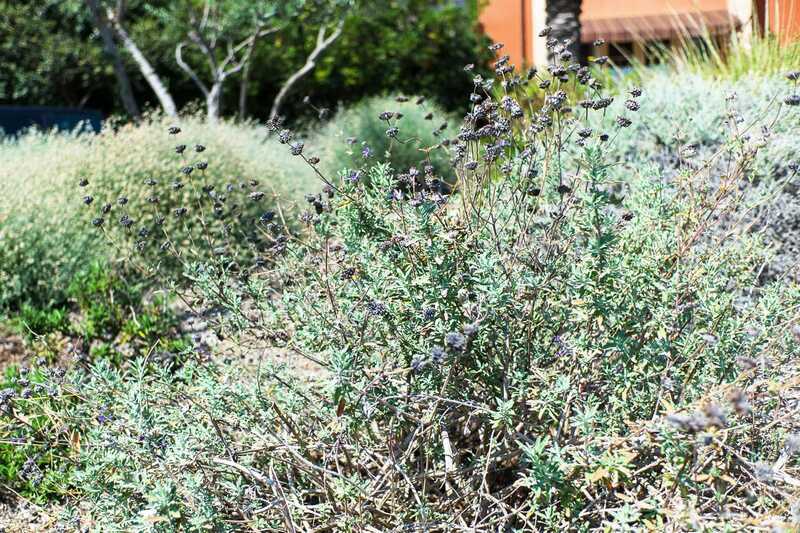 In 2011, the landscape was revamped into distinct garden spaces with native and other drought tolerant plants. 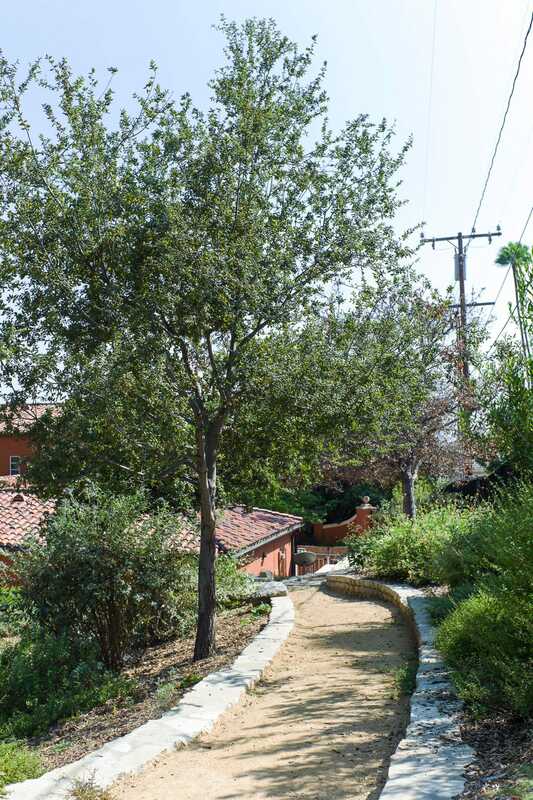 The front yard is classical in style; the back is filled with color, handsome hardscape elements, and meandering trails. 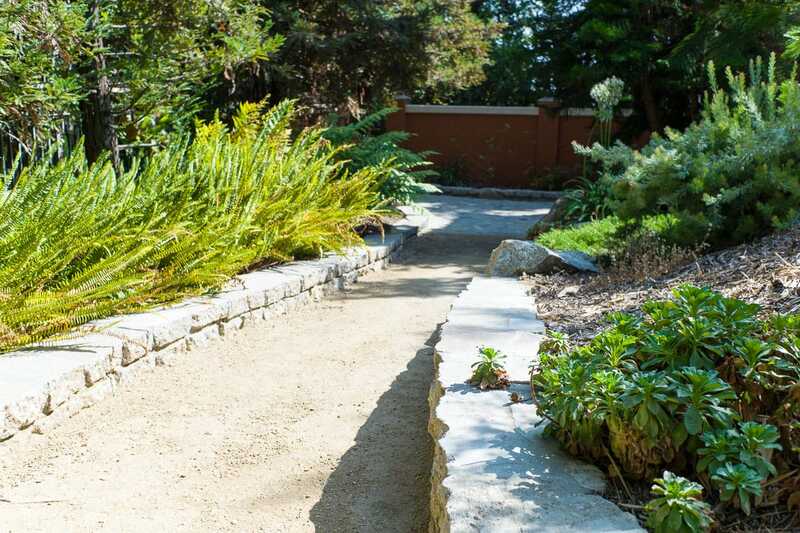 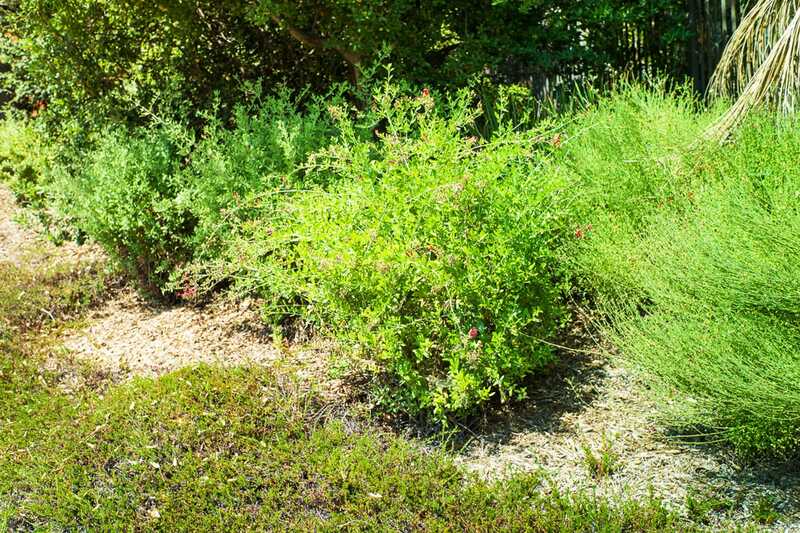 A side yard is lined with coast redwoods and understory plantings. 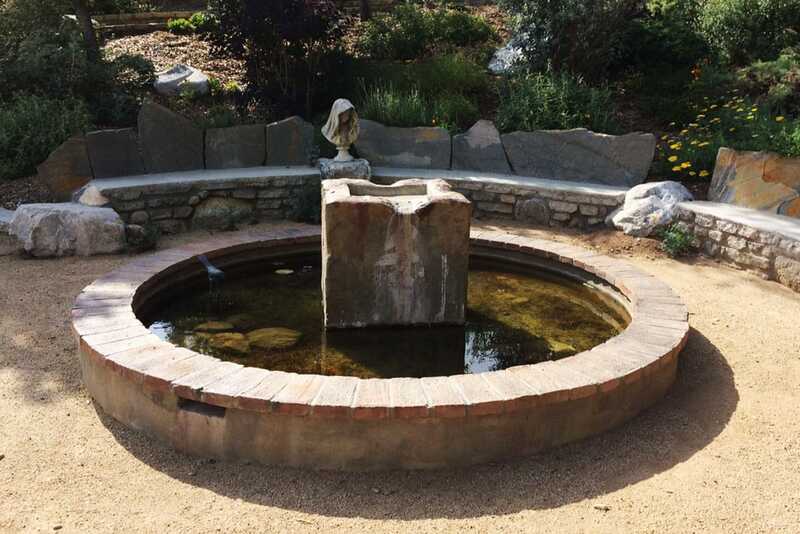 Additional features include a natural pond, greenhouse, “urbanite” retaining walls, and a seating area and fountain incorporating natural and found materials. 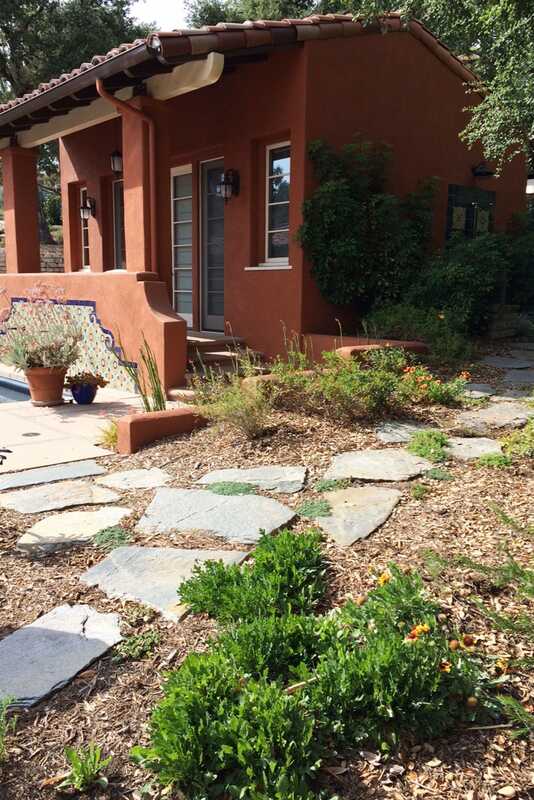 Design: Plant Goddess Landscaping.